We are happy to be part of another tour for the Backstage Pass series. Here's Book #3, Daisy and the Front Man. For our tour stop we have our review and there is a tour-wide giveaway for all to enter. 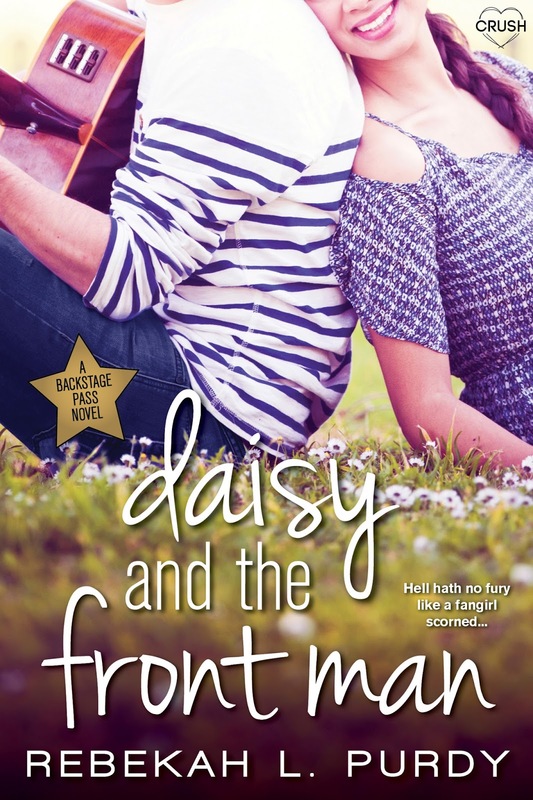 When one of his bandmates bets Trevin he can't make Daisy—the gorgeous but surprisingly ice-cold daughter of their bodyguard—fall in love with him, it’s a bet he can’t resist. Sure, Daisy won’t give him the time of day for reasons he can't understand, and her dad’s hell-bent against his little girl spending time with a superstar. But the terms are set, and Trevin is determined to make Daisy fall…hard. This Entangled Teen Crush book contains adult language, sexual situations, and seriously hot boys. It may cause swoony daydreams involving a certain super-cute front man. Cover comment: I like the fun, flirty covers for this series. Book source: I received a promotional copy. I'm enjoying watching the guys in Seconds to Juliet fall in love. Each story is entertaining, features a charming couple and a cute romance. Daisy and the Front Man is my favorite so far. What girl hasn't crushed on a performer, actor or musician growing up? That's why I love this book's tagline. The main character in this story was a huge fan. Daisy is likable and I completely get where she's coming from after being stood up by the band's front man, Trevin, after she wins a contest. All of the prep time and planning that went into making that night special only to be treated as though she didn't matter. Whoa. So when her dad tells her how she's going to spend her summer, let's just say revenge couldn't be any closer or easier to attain. But then she meets Trevin. Spends time with him. Gets to know the real guy behind the celebrity image. Sometimes plans have a way of changing. I thought Rebekah L. Purdy's writing style was lovely. She gave us just the right amount of tension, action, drama and fun and the dialogue sounded realistic. What I really liked about Daisy and the Front Man was the chemistry between the two characters. Here's a once serious fan girl turned hater and a pop star who was raised on a farm. Magazines and TV shows don't reveal the true beings behind the images and Daisy learns that. She also uses it to her advantage. Trevin is really a nice guy--swoonworthy!--once anyone takes the time to get to know him. He's not just a performer, he's a musician and a songwriter, except he hasn't been given the opportunity to show his true talent or his range. I thought it was adorable how when things fall apart he calls home and requests his sister to come to him. Talk about needing one's family! I also enjoyed the cultural touches from the dishes Trevin likes to showing respect for his parents. It was little touches like these which gave this story heart. Daisy begins to notice her dad is trying hard to reconnect with her and the stuff she was told by her mom growing up wasn't always truthful. The story line with her grandfather and his band was so sweet, especially how she would go into record stores to search out his album. Family is a theme in these tales and it's wonderful to see the stories each author comes up with. There's a lot to like in this latest addition of the series. Trevin and Daisy just seemed to be one of those special couples who were meant to be together. But then I thought that about Ryder and Mia. And--oh well, I guess with each book I'll say the same thing. The Backstage Pass series is a fun series which deals with some mature subject matter at times. All I know is I can't wait to dive into Anya and the Shy Guy, book number four. Let the music continue and the good times roll. Rebekah was born and raised in Michigan where she spent many late nights armed with a good book and a flashlight. She’s lived in Michigan most of her life other than the few years she spent in the U.S. Army. At which time she got a chance to experience Missouri, Kansas, South Carolina, and California. Rebekah has a business degree from University of Phoenix and currently works full time for the court system. 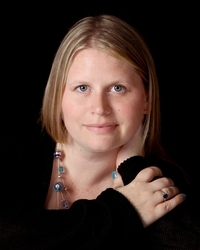 In her free time she writes YA stories, anything from YA Fantasy to YA Contemporary Romance. Rebekah also has a big family (6 kids) she likes to consider her family as the modern day Brady Bunch complete with crazy road trips and game nights. When not hiding at her computer, Rebekah enjoys reading, singing, soccer, swimming, football, camping, playing video games, traveling, and hanging out with her family and gazillion pets. Revenge can be a bitter pill to sallow down Most of the time it just does not make the person fell good. I can't wait to read this book. Hi! Revenge does have its moments and this story shows some of that. Very cute too. I have been looking for a new read, and reading this review definitely is helping me to want to read this book.